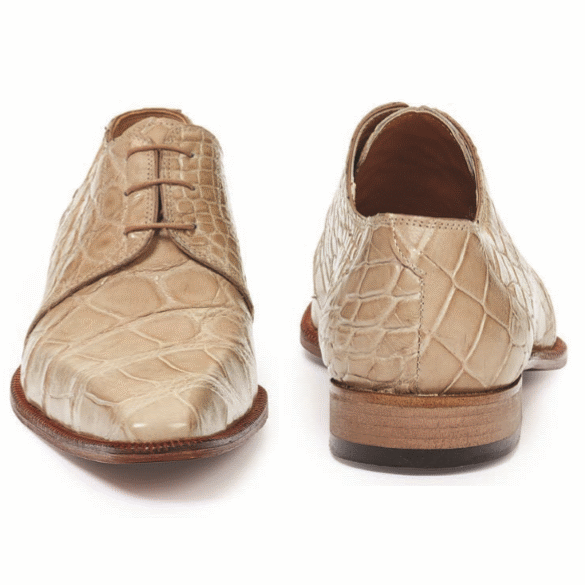 Exquisite finish for the season this "Champagne" colored genuine alligator lace up derby style dress shoe stands out. 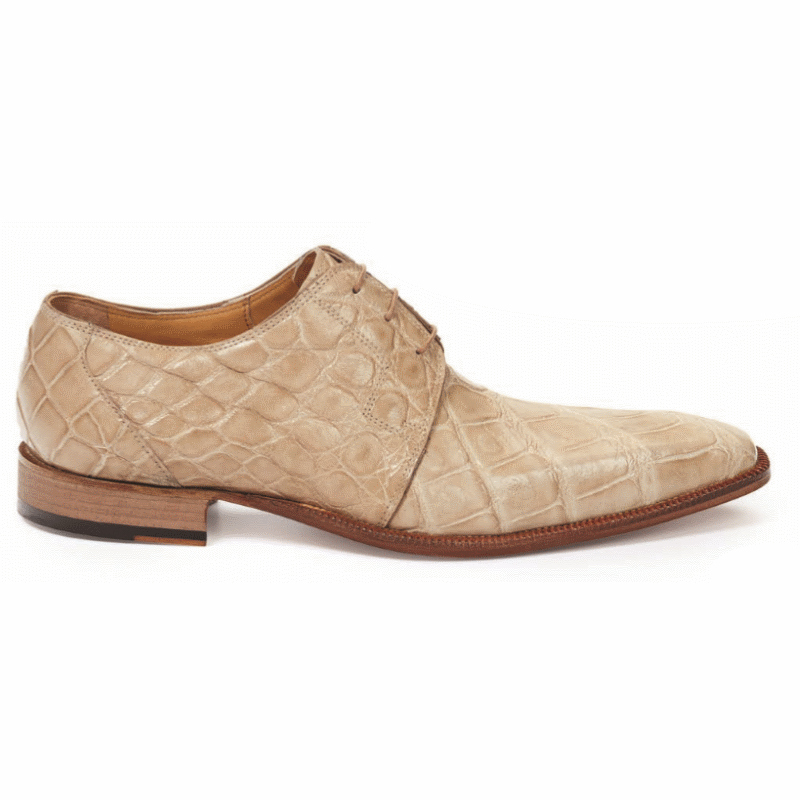 Leather lining tasseled laces leather contrast color sole with stacked heel. Made in Italy. Please note that this is a Special Order item. Please allow approximately 60 days for production at Mauri's Italy factory. Special order terms apply. All sizes are available for special order.